Linda Schrank was the first featured artist during C4's 2012-13 season. The cover for C4's first album in 2013 featured Linda's painting, The Space Catcher. That spring, a companion print was the prize in C4's first-ever benefit auction. 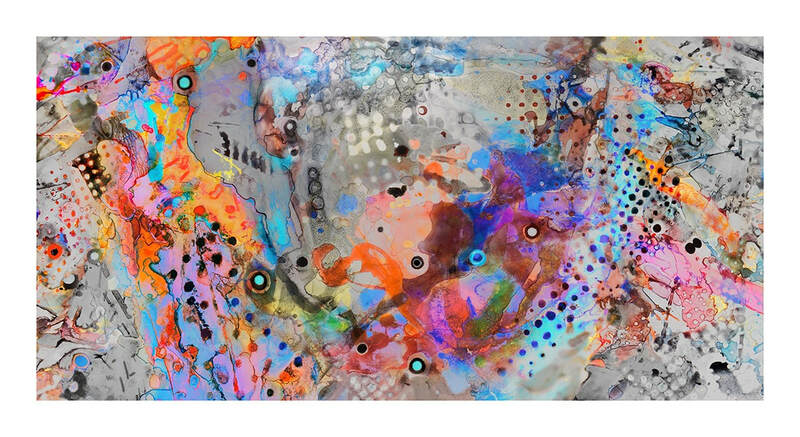 Linda's work always features complex rhythmical structures. She often says that she can’t paint without listening to music and C4 is always among her daily choices. 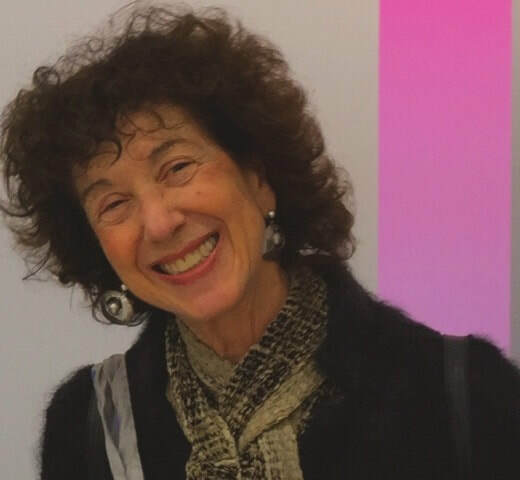 Linda Schrank taught painting for many years at Parsons School of Design and at Pratt in the Graduate School of Fine Arts. Her work is included in major private, corporate, and public collections, among them the Brooklyn Museum; Museum of Fine Arts, Boston; Boston Public Library; Houghton Library, Harvard University; Library of Congress; Pratt Institute; Rose Art Museum, Brandeis University; Princeton University; Minneapolis Institute of Arts; Museum of Ceramics, Torgiano, Italy; Museo Regionale della Ceramica, Deruta, Italy; Rochester Institute of Technology; The Corcoran Museum of Art; The International Museum of the Woman in Art, Abruzzo, Italy; The Morgan Library and Museum; The New York Public Library; University of Houston; Smith College Museum of Art; University of Iowa. Schrank has completed notable special projects and commissions, including a video collaboration with the composer Huang Ruo, at Symphony Space, NY; a commissioned mural at The AlbornoZ Hotel in Spoleto; a permanent installation in the Museo della Poesia, Cesa (AR); and a limited edition artist book produced by Vincent FitzGerald & Co., Rumi, Jalaluddin Mohammad, Fragments of Light 5. She has been awarded residency grants at the American Academy in Rome; apexart International Fellowship, Melbourne, Australia; Moulin a Nef, VCCA, Auvillar, France; Sanskriti Foundation, New Delhi, India; Fundacion Valparaiso, Almeria, Spain; Yaddo; Virginia Center for the Creative Arts. Additionally she received grants from the Brooklyn Museum; the Brandywine Graphic Workshop, Philadelphia; Pratt Faculty Development Find; Cuts and Burns Residency, Output Video Production; Ditta G. Grazia ndC., Majoliche Artistiche, Deruta, Italy; Arts Workshop Grant, The America the Beautiful Fund of New York.